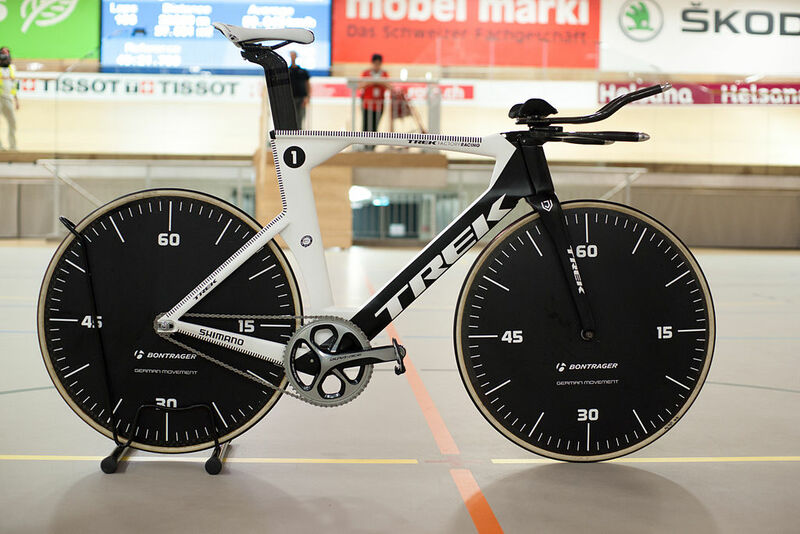 The hour record is simple. The participant turns up to a velodrome with a bike and rides around it for exactly one hour. 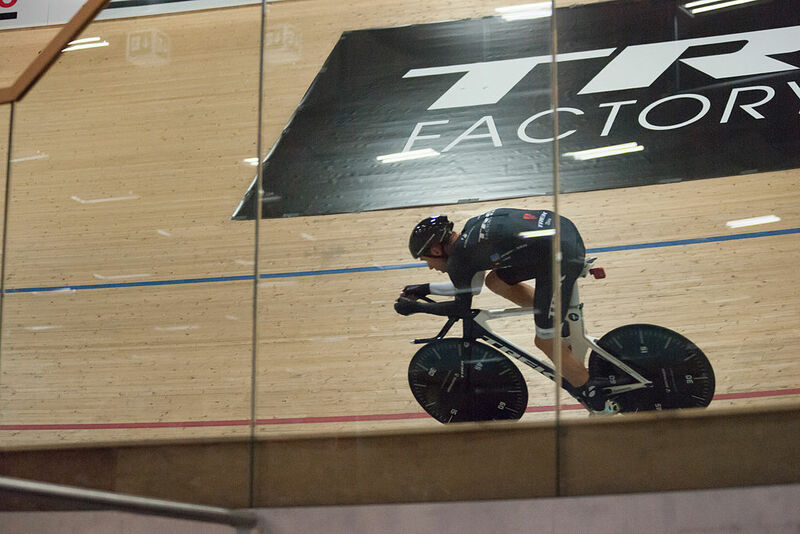 The cyclist who has ridden the greatest distance in those 60 minutes is the holder of the prestigious hour record. Could there be a more pure test of athletic prowess? Well, as it happens, the event has lost its sheen somewhat over the years due to wrangles and meddling with the rules and regulations, but as a method of creating the maximum level of sporting discomfort in the minimum amount of time, the hour record is hard to beat. It’s the wilful element which really ramps up the levels of suffering, and the fact that to break the record requires total effort – with no easing up whatsoever – for the complete hour. The aim is to reach the point of utter physical exhaustion at exactly the moment when the clock reaches the fabled hour; but because we’re talking about athletes capable of pushing through the pain barrier to a dangerous degree, it can easily get messy. Apparently the pain really begins to kick in after about 40 minutes – to a level where most ordinary people would seriously consider throwing in the towel – but at this point the contender must maintain their effort, averaging a speed of around 50 kilometres per hour, knowing the discomfort will get ever greater. If you’re sitting at a desk writing a frivolous blog post, twenty minutes can pass without notice, but riding around a circular track in front of the watching world with nothing to think about but ever increasing levels of pain coming from your legs, back, hips and lungs? Twenty minutes can seem an awfully long time. In a state of near collapse, having beaten Eddy Merckx’s record by 10 metres in the year 2000, Chris Boardman said, “I’ve never had so much pain after a race.” He suggested this was due to having to ride in a crouched positon using standard drop handlebars (as opposed to the time-trial bars which are now permitted when taking on the hour). He then retired from cycling with immediate effect. Having said all this, the extent of the discomfort reached by Jens Voigt during his recent record breaking ride apparently amounted to nothing more than an uncomfortable amount of chafing, as evidenced by his need to awkwardly adjust the padding in his shorts in full view of the world’s cycling fans. I like a bit of detailed sporting analysis as much as the next man, but for anatomical detail we’re getting into a weird area there (so to speak). That this was apparently as painful as it got was either a reflection of ‘Jensie’s’ near mythical ability to push through the pain barrier or, actually, that the pain didn’t reach beyond that which Voigt has experienced just about every day for the past 20 years or so. I don’t mean to sound disappointed, but watching a man ride around in a big circle whilst withstanding increasing levels of suffering is pretty much the appeal of the hour record as a spectator; after all, what amateur cyclist isn’t impressed to see one of the world’s top bike riders being helped from his bike in a state of exhaustion? Armchair masochism, you might call it. Just to be clear, I’m not belittling the record that Jens Voigt set – he went out there and wrote his name in the record books as planned and, let’s be fair, I’m sure it wasn’t exactly pain-free. 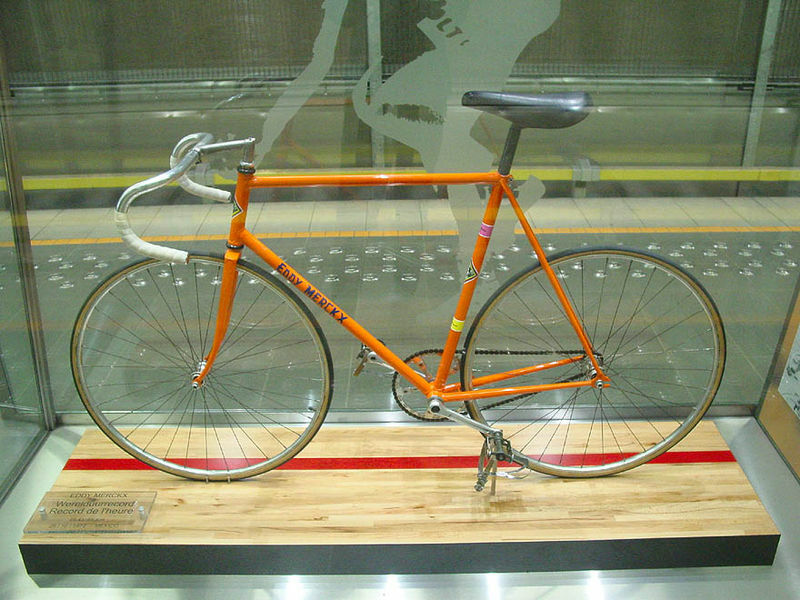 I suppose the important thing about his ride is that he set a new benchmark using previously outlawed equipment; namely those time-trial bars which allow the rider to achieve a better aerodynamic position than the likes of Merckx and Boardman before him (and do it, apparently, without having to endure mind bending levels of pain). The consensus is that over the coming months we’ll see attempts on Voigt’s new record (51.115 km) from the likes of Bradley Wiggins, Fabian Cancellara, and Tony Martin, which could be fun. If Jensie’s attempt was anything to go by, they might be advised to get some extra padding in their shorts.